Fund your classroom makeover to create a dream classroom at your school. Get creative ideas on ideas for finding the money. Interested in bringing alternative seating to your classroom? Click to learn more about the AlphaBetter® Stand-Up Desk. When teacher Abby Brown wanted to add stand-up desks to her classroom, she quickly learned there wasn’t really an option for her students. This was about 10 years ago, before the benefits of standing desks were really known and widespread. However, she wasn’t about to give up. Brown applied for a $500 grant to create them on her own, which became the start of an amazing classroom makeover. If you’re in similar shoes as Brown and looking to make a change-up in your classroom, here are seven tips for finding the money to make it happen. 1. Look for teacher grants. Some of our favorite grants include the Fund for Teachers program, Thank America’s Teachers from Farmer’s Insurance and Lowe’s Toolbox for Education. Trying to get funding for furniture items? Start with Stand Up Kids, an organization working to get every public school child a standing desk within the next 10 years as a way to combat sedentary lifestyles and inactivity. For other ways to get funding for furniture, look for words like “classroom supplies” or “innovative learning” where you can interpret it to meet your needs. For instance, this grant from NewSchools says they “invest in entrepreneurs and teams of educators whose bold ideas have the potential to help students reach their highest aspirations.” There’s been a lot of research about how classroom design and setup impacts learning, so don’t be afraid to go big! 2. Look for niche grants. Are you a math teacher? Science teacher? Oftentimes you can find grants by focusing on your subject area. For instance, the National Science Teachers Association lists grants specifically available for their members. 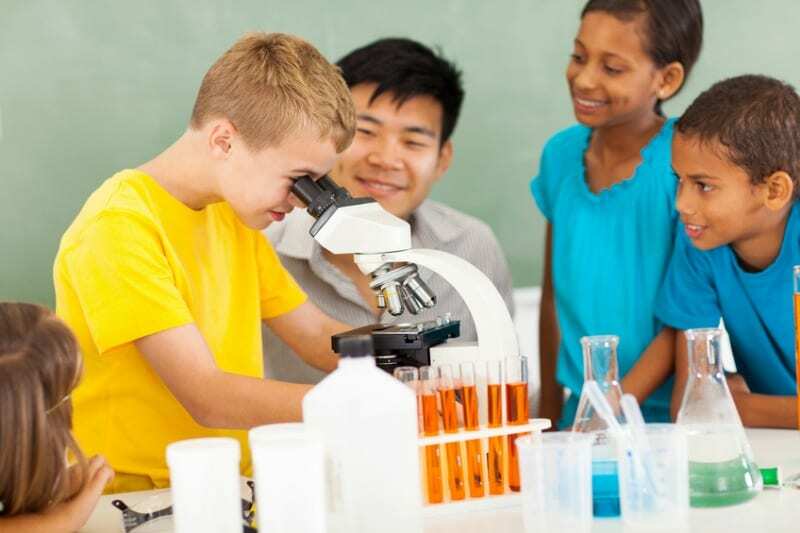 Another one is the Toshiba grant, which targets science and math teachers for grades K–5. Grants for Teachers is a great site where you can search by grade, subject area, state and more! 3. Work with your PTA. 4. Go to your school board. If you have an idea that will better your classroom and students, consider approaching your school board—with permission from your principal or supervisor, of course. Victor Hurlbert is a member of the school board in the North Kansas City School District (NKC Schools), and he says most school board members are easy to approach and welcome the chance to hear from teachers. He recommends coming to a board meeting just to get a feel for how they’re run. Then prepare your case. For instance, if you want alternative seating, know what the research says and be prepared to prove the benefits. 5. Find funding within your community. Because companies like to give back to their own communities, it can help to look at local funding opportunities. You can look at the city level, like the rotary club or local government grants, or at companies based in your state. For example, Target has grants only for Minnesota schools because that’s where the company is headquartered. Insurance companies and banks also often invest heavily in local schools. Again, try the Grants for Teachers website for state-specific grants. You can also check with your local United Way—they will likely be able to point you in the right direction. 6. Start small and raise funds yourself. If you have an idea on how you want to give your classroom a makeover, think about raising the funds yourself to prove out the concept. 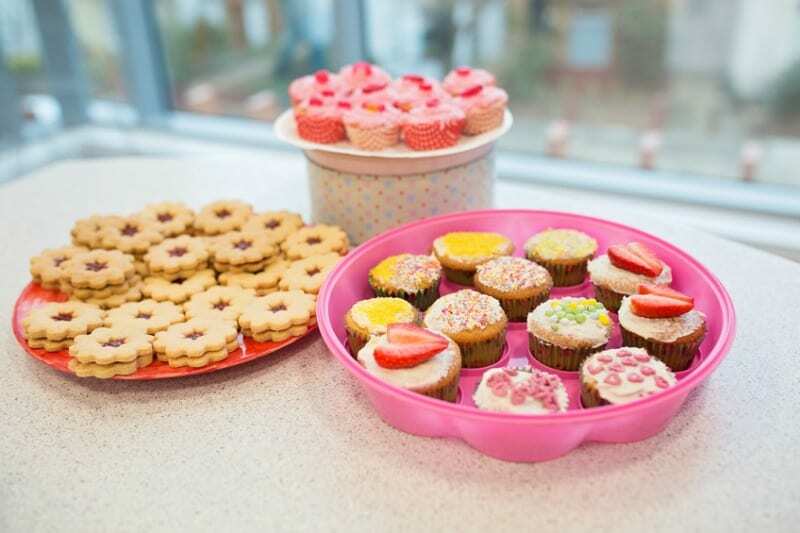 Bake sale, anyone? This might be the jump-start you need to get additional funding. For example, if you’re trying to get stand-up desks or new technology like iPads, you might have to start with just one. Then document the impact it had on your class through videos, photos and overall numbers. This will help you develop a strong case when you’re trying to get money for grants and from companies. In this day and age, there are plenty of ways to take fundraising online. The best-known option is Donors Choose, where you can post a project and solicit donations from acquaintances and strangers alike. Another crowdfunding source to check out is AdoptAClassroom.org. You register your class online, add a few details and then wait for your classroom to get adopted.Hint: The more information and photos you can provide about your needs, the more likely you’ll get your request fulfilled. 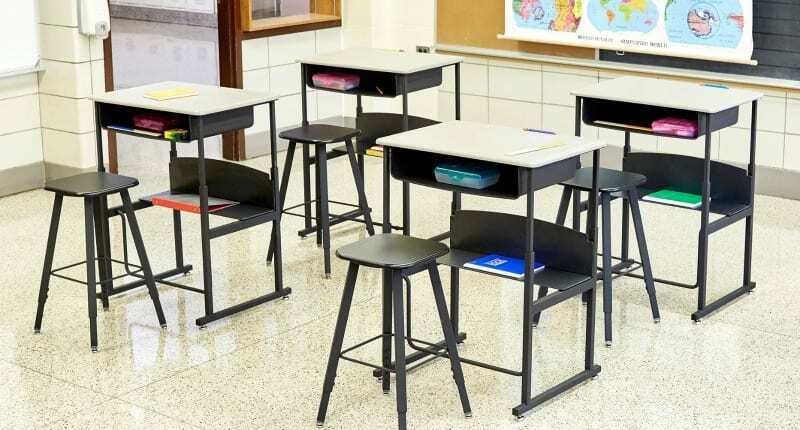 If you’re interested in bringing alternative seating to your classroom, we’re giving away three stand-up desks right now on WeAreTeachers! Click to enter now.